There are many pharmaceutical options on the market that promise quick results, but the ensuing side effects can be worse than the allergic condition they are intended to treat. Dr. Bessent, founder of Herbsmith, Inc., says there is an alternative way to address problems like these. Traditional Chinese Medicine (TCM), a more natural, holistic approach to veterinary care, has proven to be successful for thousands of years. An allergy is a hypersensitive reaction to an allergen (from a food or an inhalant). These allergens cause the body’s defenses to overreact, which leads to the overheating of a dog’s body. Some of the associated symptoms include itchy and reddened skin, panting, and restlessness. TCM states that the combination of warm (the heat of allergies) and cool (the dog’s body temperature) often creates a condition of “wind” within the body, which is what often causes fiercely itchy skin. Another way that allergies can affect a dog’s body is through the accumulation of phlegm. All of these symptoms (heat, phlegm, and wind) stem from an imbalance in the dog’s liver, referred to as “Liver Qi stagnation”. According to TCM, the liver is the organ responsible for the smooth flow of Qi (pronounced “chee”), which is the body’s overall life-force. The liver acts as a “pump” to produce the smooth flow of energy throughout the entire body. When that pump “overheats” as a result of an allergic reaction, the vital fluids within the body evaporate and phlegm starts to accumulate. The accumulation of phlegm causes the dog’s coat to give off a foul odor and become greasy or gooey. Any imbalance within the body can be explained using the model of “yin and yang”, which is at the base of all TCM theory. Yin and yang both exist within the body at all times. “Yin” represents the concepts of cooling, fluids, quietness, and passive behavior. “Yang” represents the concepts of heat, inflammation, outward energy, and aggressive behavior. A healthy animal will have a perfect balance between the two forces. According to TCM, any imbalance of the two is regarded as a disease. From this perspective, allergies are commonly seen as an excess of yang (heat) in the body causing the allergic hypersensitivity. Dr. Bessent compares the body of an allergic dog to a boiling pot of water. “In order to stop the boiling of the water, you can either turn down the heat or add more water to the pot.” TCM uses cooling herbs that bring down the yang (or heat) within the body and yin tonifying herbs that increase the fluids of the body overall, bringing the dog’s body back to a balanced state. Herbs used in TCM focus on a holistic way of treating diseases. In the case of canine allergies, they work to bring down the heat within the body, thus reducing inflammation of the skin and accumulation of phlegm. Unlike traditional pharmaceuticals, the herbs address the root cause of the allergy while still relieving the associated symptoms. The two most common allergies found among dogs are to foods and inhalants. Each of these allergy types affects a dog differently, but they can be addressed using the same theories. There are some very simple steps that can be taken to decrease the severity of your dog’s reaction. 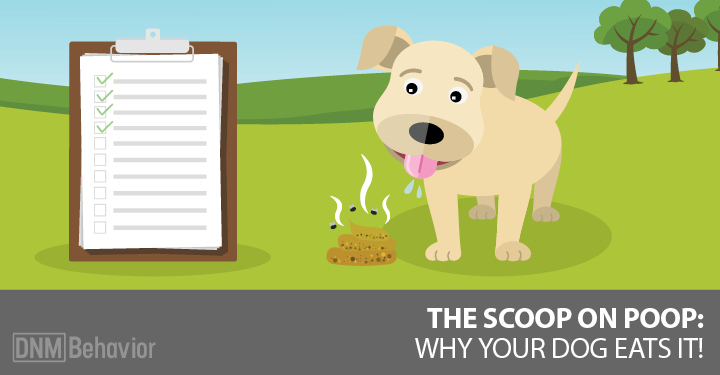 When someone suspects that his or her dog has food allergies, the most important step is identifying the food or foods that are causing the reaction. It order to do so, the allergic dog should be reverted to a very bland diet such as rice and boiled hamburger or chicken. After all signs of past reactions have ceased, foods that the dog had eaten previously should be slowly reincorporated into the dog’s diet, one by one. Allergic reactions can take anywhere from a few hours to several days to appear, so if the dog is showing no signs of an allergic reaction after one week of eating a particular food, an additional food should be reintroduced. During this process, if the dog starts to show signs of a reaction (such as diarrhea, vomiting, gurgly stomach, or skin irritations), the most recently incorporated food is revealed as the allergen (or one of the allergens). That food should be permanently eliminated from the dog’s diet. If someone is seeking an easier way to diagnose your dog’s allergies, allergens can be detected through specific allergy blood testing. Another type of allergy common among dogs occurs as a result of environmental or inhaled allergens. Western medicine looks solely at physical allergy symptoms such as itching, scratching and lesions, whereas TCM also recognizes the less obvious symptoms such as restlessness, irritability and panting. All of these signs indicate an allergic reaction, which reveals the underlying issue of Liver Qi stagnation. In addition to using herbs, Liver Qi stagnation can be treated using traditional Chinese approaches like acupuncture and food therapy. Food therapy, when combined with other approaches, can be a very effective way to treat allergies in dogs. Chinese medical theory states that food is like a medicine. The old adage that “you are what you eat” applies here. Food is classified as having various properties such as cooling, warming, etc. Allergic dogs should eat cooling foods such as fish, duck and rabbit. The cooling foods help to bring down the inflammation throughout the body. Foods like venison and lamb are considered the warmest of proteins and, to an allergic dog, would greatly increase the heat in the body and the allergic reaction. Cooling foods include duck, fish, rabbit, whitefish, cod, string beans, celery, banana, apple, pear, barley, brown rice, broccoli, flax seed oil and yogurt. Incorporating cooling foods into an allergic dog’s diet will help to resolve the underlying disharmony that is causing the reaction. Generally neutral foods will tonify Qi & Blood and harmonize Yin and Yang. They can be used in combination with other types of foods to add variety and choice or to decrease the harshness of a very cold or very hot diet. Dr Chris Bessent DVM practices holistic veterinary medicine, utilizing Chinese herbs, acupuncture, food therapy and chiropractic on all animals. 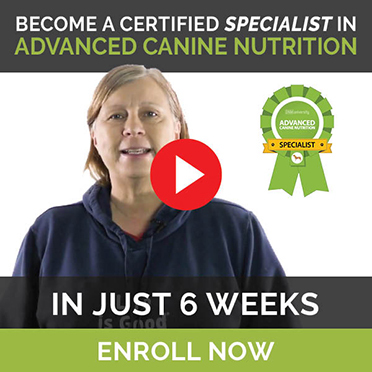 She holds a Masters Degree in Oriental Medicine and is a member of the American Veterinary Medical Association and the American Holistic Veterinary Medical Association. She practices and teaches Chinese veterinary medicine through seminars, classes and internships for veterinary students and veterinarians. Dr Bessent channeled her wealth of knowledge and experience into founding Herbsmith Inc.